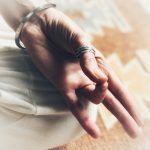 In a lot of Kundalini Yoga Kriyas and meditation we make use of mudras, seals of energy that we create with our fingers. Each represents a different element and is connected to another planet. By bringing our fingers into certain positions we create a different energy flow through our system. 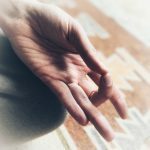 Let’s take look at the five fingers one by one and see what effects the four ‘basic’ mudras (connecting each finger to the thumb) have. The Gyan Mudra is the mudra of wisdom, because it joins the divine finger (thumb) with the finger of self (index finger). It brings in knowledge, expands our field of possibilities and releases us from limitations. It is related to expansion, wisdom and higher consciousness. It is calming and brings the practitioner spiritual openness and ease in meditation. It sharpens the brain, empowers the mind, nervous system, endocrine system and pituitary gland. Index finger is related to the planet Jupiter and the element of Air (Vayu), carries the energy of subconscious and the ego. 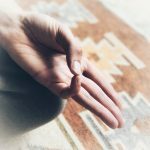 The Shuni Mudra helps to encourage wisdom, purity, compassion, understanding and patience towards others and patience to fulfill one’s responsibilities. It helps turn negative emotions into positive ones. Middle finger is related to the planet Saturn and the element of Ether (Akash), carries the energy of stability and strength. The Surya mudra gives us vitality and aliveness. It represents balance, energy, endurance, health and vitality. It can help encourage positive change in your life and speed up metabolism and stimulate digestion. Ring finger is related to the planet Sun and the element of Earth (Pritvhi), resonates with the energy of the Solar Plexus and governs personal power. 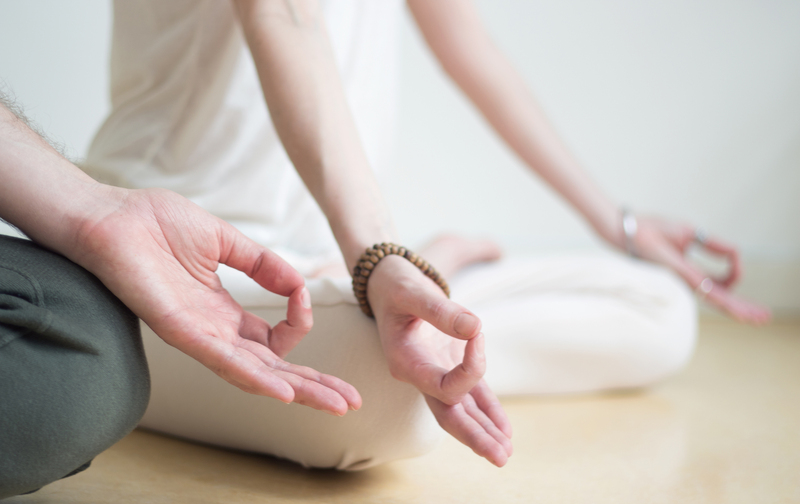 The Buddhi Mudra aids clear and open communication. It helps balance the water element and the prevention of all diseases which are related to lack of water (e.g. dry skin and eyes). This Mudra also helps with gaining higher understanding and discerning intuitive messages to gain knowledge. Little finger is related to the planet Mercury and the element of Water (Varuna), is related to our worldly and intellectual activities. The thumb is not governed by a planet and is related to the element of Fire. It is the symbol of divine energy that has risen above the ego and the material world, it represents universal consciousness. For the mudra’s to their work you don’t necessarily need to know and remember all these things, although it is nice to know of course and it can give some extra motivation to stay committed. Would you like to experience the effect of these mudras in combination with a mantra meditation? We have a beautiful meditation video for you on our Practice Page that has all four of them incorporated. 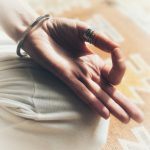 The finger movements in this meditation, alternating between these four mudra’s, are calling upon the qualities they represent again and again and thus help you to give these qualities space in your life and character. It also helps to keep the elements within the body in balance or helps the body to restore the balance between the five elements and thus keeping your physical body and your mind healthy. Give it a try!